This page is for the updated version. 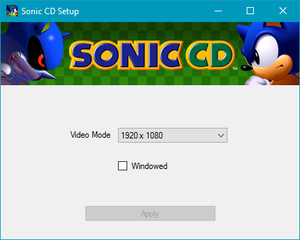 For the 1996 version, see Sonic CD (1996). Includes both the US and Japanese/European soundtracks. Game physics and speed are tied around 60 FPS, meaning slowdowns on lower end machines and speedups with high refresh rate monitors. 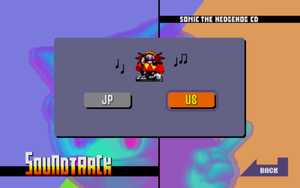 Sonic Retro - A huge fan site for everything Sonic the Hedgehog. Mods for all the games can be found here. All non-16:9 resolutions are anamorphic. 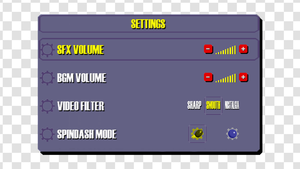 Game speed bound to frame rate. Must cap the frame rate at 60 FPS. 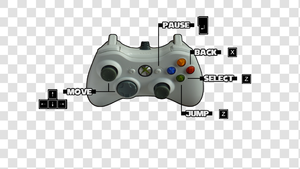 Xbox 360 Controller layout for the game. Except for display mode window. ↑ 1.0 1.1 File/folder structure within this directory reflects the path(s) listed for Windows and/or Steam game data (use Wine regedit to access Windows registry paths). Games with Steam Cloud support may store data in ~/.steam/steam/userdata/<user-id>/200940/ in addition to or instead of this directory. The app ID (200940) may differ in some cases. Treat backslashes as forward slashes. See the glossary page for details. This page was last edited on 18 September 2018, at 11:14.